Butter pecan has always been one of my Dad’s favorite ice cream flavors, but I never really gravitated towards it. Maybe because I was under the impression it was just vanilla ice cream with some pecans thrown in – borrrringgggg. 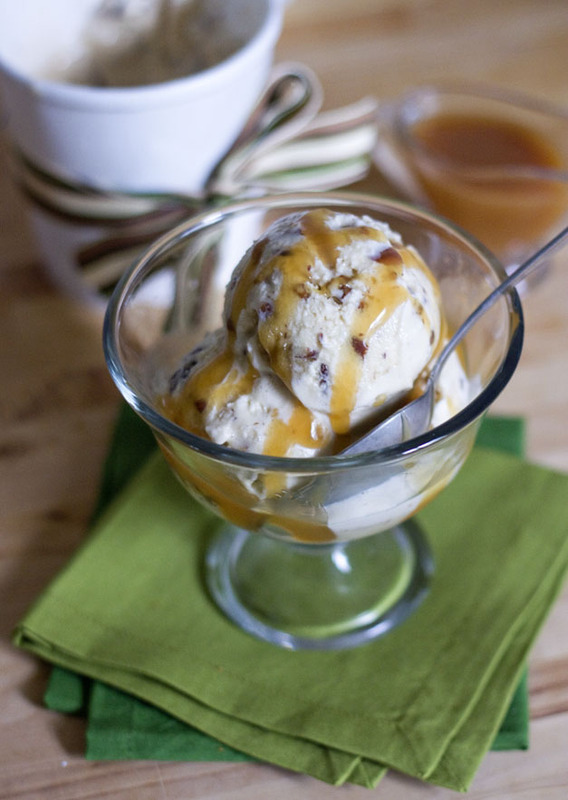 Well, after making this recipe I now understand that the base of butter pecan ice cream is a lot more than boring vanilla – it’s infused with a buttery caramel sauce that is truly unbelievable. And of course I couldn’t just serve plain ice cream, no matter how delicious it was, so I make some chocolate chip heath bar cookie cups to serve the scoops in. I cheated and used a box mix with a 1/2 cup of heath pieces mixed in since I was juggling preparing the lasagna and ice cream at the same time and needed a shortcut. The combination was, in my Dad’s words, “phenomenal”. Couldn’t have said it better myself! This is a great ice cream recipe and I thought it was really interesting that the heavy cream is whipped before being added to the ice cream base. I think this method helped the ice cream stay pleasantly light and airy, even after a few days in the freezer. I could see this base being really successful with a variety of mix-ins other than toasted pecans. Heath bar with a caramel swirl perhaps? You better call me over for a taste if you give it a try! - In a medium saucepan, combine the brown sugar, water, and salt and bring to a boil, stirring to dissolve the sugar. Once the mixture reaches a boil, let it boil for 2 minutes. - In another medium bowl, beat the eggs together and slowly add the heated syrup, mixing constantly. - Transfer the mixture to a double boiler and continue to stir the mixture until the mixture reaches 175 degrees. Do not allow the mixture to reach a boil. - Mix in the unsalted butter until melted. Strain into a medium bowl and refrigerate until cold. - Once chilled, mix in the whole milk and vanilla extract. - In the bowl of an electric mixer fit with a whisk attachment, whip the heavy cream until soft peaks form. Fold it into the cooled egg mixture. - Pour into an ice cream maker and freeze according to the manufacturer's directions. When the ice cream is done, fold the toasted pecans in with a rubber spatula. .
- Prepare cookie dough according to your recipe. - Grease the wells of 12 muffin tins with non-stick cooking spray. - Place a ball of dough in each muffin well and use your fingers to spread the dough up the sides of the well. - Bake for 20 minutes, or until golden brown. I took the cookie cups out half way through and used a spoon to push down the centers of the cookies a bit and did this again when the cookies were done. - Remove the cookies from the pan using the edge of a butter knife. 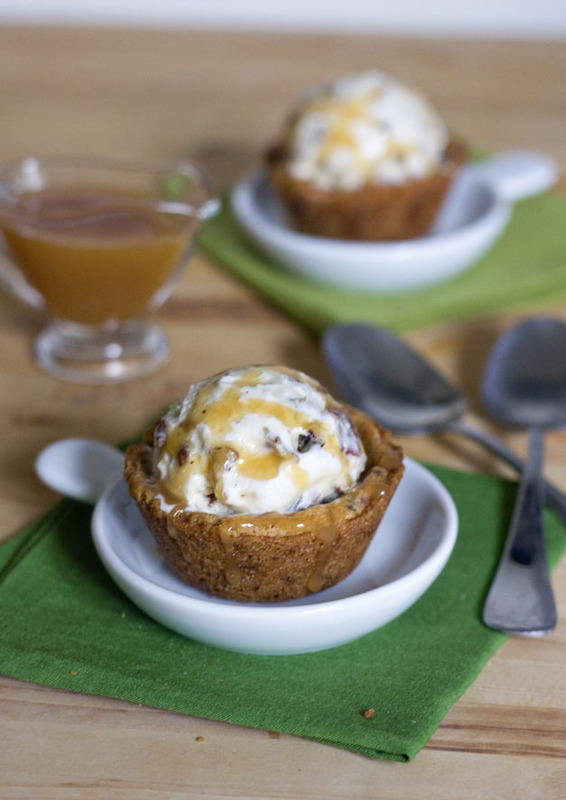 - Serve when warm topped with a scoop of ice cream and some caramel sauce. 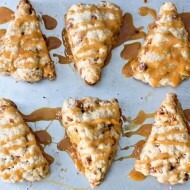 These look soooo gooooood, Erica! 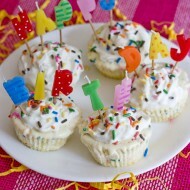 Love your recipes and great ideas!! Thanks for continuing to inspire us!! Okay, butter pecan is my absolute favorite flavor, and the cookie cups? Awesome! Pinned! 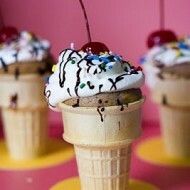 The ice cream by itself is delicious, and you had to put it on a delectable choco cookie cups, you are awesome! Is there anyway I can be a housemate of some sort. This is magical! I can’t wait to try this! My sis loves butter pecan ice cream so I’ll have to try this this weekend for her :D I have tried so many of your recipes and have yet to be disappointed…especially loved the butterbeer cupcakes. Congratulations on your engagement! I work as a bridal consultant in St. Louis and since it would be really impractical for you to come all the way here to buy a dress you should check out Maggie Sotterro wedding gowns. They are STUNNING! I’ve had an ice cream maker for the past 2 years that I have yet to break in. I think it’s time, don’t you? This recipe looks like a good place to start…and I LOVE the cookie cups – you’re so creative Erica! 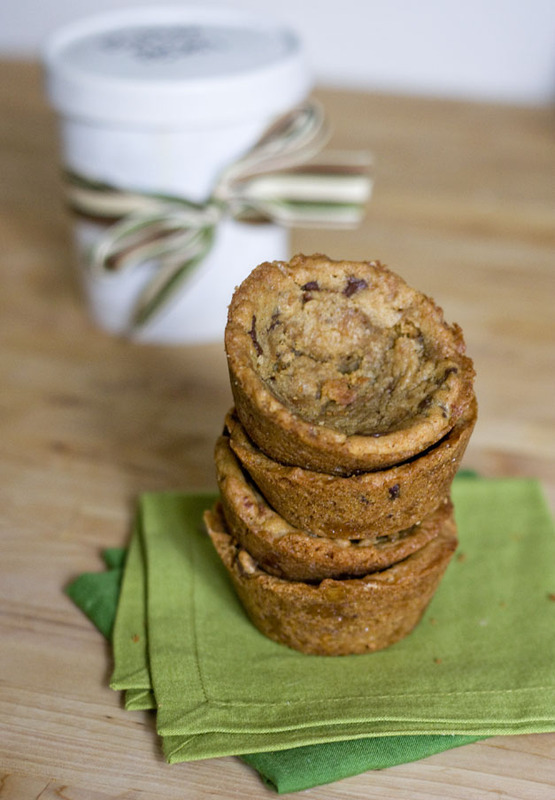 I would really like to make the cookie cups, they look delicious. I have a question though, how big of a ball do you need to roll it in to, to creat this look? Like say, walnut size?? Thanks! Yes, walnut size is a good estimate :) Just enough to cover the edges of the muffin tin. Good luck, they are delicious!